Features Arnold Schwarzenegger's Actual Voice! 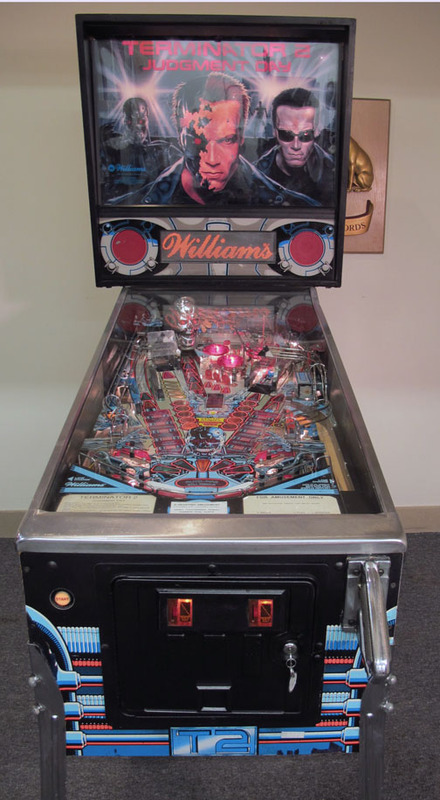 This Pinball Machine is Great Fun! 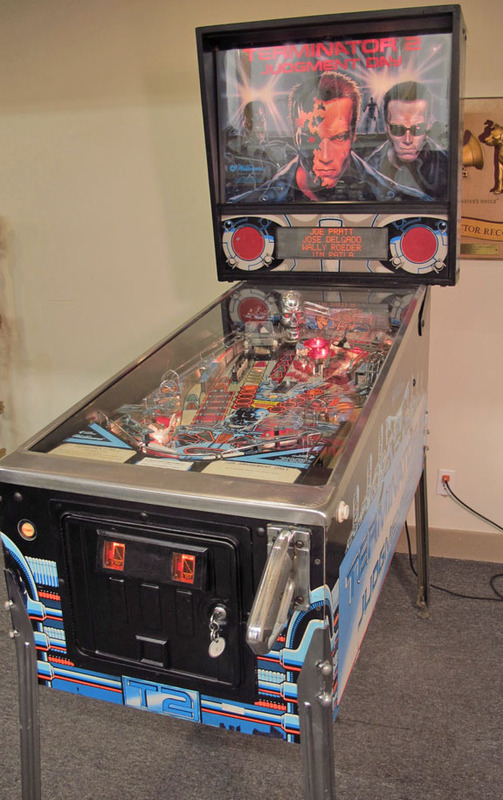 According to several sources, due to pre-release secrecy around the Robert Patrick 'liquid metal' T-1000 character and the chance the game could be released prior to the film, the T-1000 character was not shown in the cabinet, playfield, and back glass artwork, except for a small picture of actor Robert Patrick on a light shield. The DMD programming was finalized after the artwork, so the liquid T-1000 was already public knowledge, which allowed the character to be included in the display animation. When a player gets an extra ball, the DMD graphic stating to shoot again is a clip of the T-1000 opening a door and getting shot by Schwarzenegger with a shotgun.